While several automakers have now demonstrated the capabilities of their autonomous test vehicles in real-world use, typically those demonstrations have been in dry, mostly sunny climes and conditions. Conditions that don't exist for much of the year in much of North America. 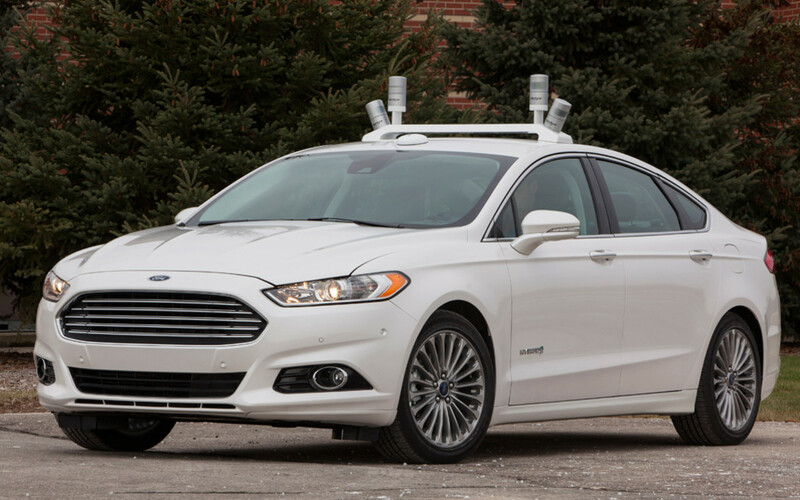 Ford knows the future of autonomous driving can't rely on such ideal conditions, which is why that company has undertaken testing of its Fusion autonomous test vehicles, in real winter conditions, including on snow-covered roads. It’s imperative that an autonomous vehicle knows its precise location, not just within a city or on a road, but in its actual driving lane – a variation of a few centimetres can make a big difference. Fully autonomous driving can’t rely on cameras when road markings are covered with snow or otherwise obscured and GPS is accurate only to several metres – not nearly close enough to localize or identify the position of the vehicle. LiDAR technology,the spinning sensors that Ford uses on the roofs of its autonomous Fusion Hybrids, is said to be much more accurate than GPS, identifying a vehicle's lane location right down to the centimetre. LiDAR emits short pulses of laser light to allow the vehicle to create a real-time, high-definition 3D image of what’s around it. But on snow-covered roads or in high-density traffic, LiDAR can’t see the road either. The same is true when sensor lenses are covered by snow, grime or debris. To address that challenge, Ford and University of Michigan technologists are collaborating toward a solution that would allow an autonomous vehicle to see on a snow-covered road. Among other locales, Ford is testing its autonomous vehicles at Mcity – a 32-acre, full-scale simulated real-world urban environment established for the purpose at the University of Michigan – where winter conditions are a fact of life. To navigate snowy roads, Ford's autonomous vehicles are equipped with high-resolution 3D maps developed in clear conditions – complete with information about the road and what’s above it, including road markings, signs, geography, landmarks and topography. “The maps we created with Ford contain useful information about the 3D environment around the car, allowing the vehicle to localize even with a blanket of snow covering the ground,” said Ryan Eustice, associate professor at the University of Michigan college of engineering. When the vehicle can’t see the ground, it detects above-ground landmarks to pinpoint itself on the map, and then subsequently uses the map to drive successfully in inclement conditions. "We eventually want our autonomous vehicles to detect deteriorating conditions, decide whether it’s safe to keep driving, and if so, for how long,” said McBride. Developing technology that can be used in winter conditions is a major step in Ford's plan to bring fully autonomous vehicles to market worldwide.